In 2012, a little known filmmaker from Pakistan won the Academy Award for the Best Documentary Short and was instantly catapulted to national and international fame. Her film, Saving Face, talked about giving hope to acid attack victims. In a country where filmmaking suffered an untimely demise, Sharmeen Obaid-Chinoy and her Oscar ignited even hope that Pakistan could dream again of movies being made on its soil. Eighteen months on and a number of filmmakers have either exhibited their stories in theaters or are working towards future releases. Things have changed however. These filmmakers are not the cinema stalwarts that had contributed to Pakistani cinema in the past decades. In fact, only a couple of films (Bhai Log and Love Mein Ghum) released last year have emerged from Lollywood, the home of Pakistan’s traditional film industry based in Lahore. Instead, the rebirth of cinema in the country is made possible by a new breed of filmmakers with little experience in feature films – for instance, Bilal Lashari (Waar) and Jami (Moor) are known for making music videos, Humayun Saeed (Mein Hoon Shahid Afridi) is a popular TV actor, while Iram Parveen Bilal (Josh) graduated from film school abroad. There are a lot of reasons that have contributed to Lollywood’s decline and the rise of the new age of Pakistani cinema. Nadeem Mandwivalla, owner of Atrium Cinemas and Mandwiwalla Distributors, counts Lollywood’s infamously low quality production as one of the chief contributors to its demise. Comparing the historical sketch of cinema in Pakistan to that of the Indian film industry, popularly known as Bollywood, Mandwivalla explains that during the 1990's, Bollywood embraced higher production values while Lollywood continued to lag behind in technology. During this time, Bollywood started using techniques which displayed true colour, while Lollywood’s films still carried a distinct pink hue on screen, indicating out-dated cameras and poor quality film. Even as the audiences in the respective countries were embracing a global modernity, Lollywood continued to produce sub-par movies with story lines centered on rural feudal communities in the Punjab, alienating Pakistan’s growing urban population. He points that Bollywood in the same era was mounting its song sequences in the Swiss Alps, and churning out scripts that appealed to the large Non Resident Indians settled overseas. The new filmmakers in Pakistan, however, are doing things differently. Shooting in high definition with trained cinematographers and DOP’s has become the norm and there is a greater focus on using screenplays to chalk out the narrative pace. 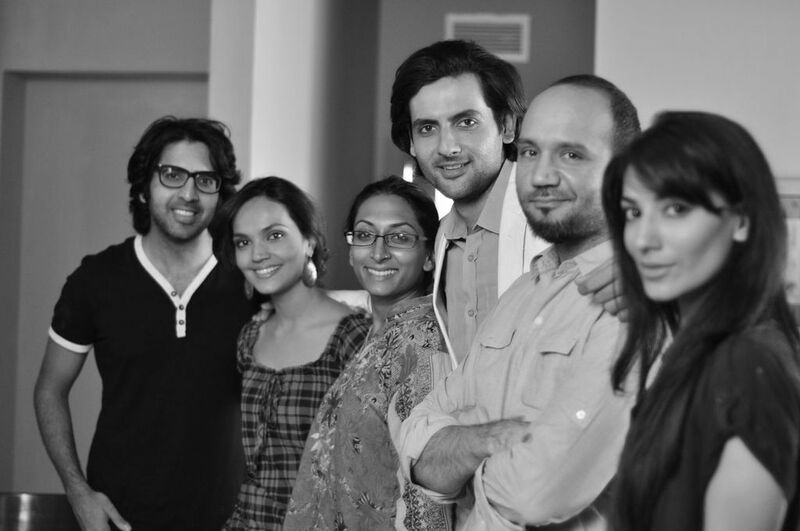 More importantly, the stories being told are relevant to modern Pakistan – instead of damsels in distress and song and dance numbers, the current batch of movies talk about issues such as education and women’s rights (Josh), voting to make a difference (Chambaili) and even Pakistan’s national passion, Cricket (Mein Hoon Shahid Afridi). These films are a bold and welcome departure from the films of yesterday which failed in the face of competition from Bollywood, not least because of poor production quality. According to Meher Jaffri, the challenge for the new filmmakers in not that some of their stories would not be understood by the local audiences in Pakistan. Instead it is how to change the traditional mindsets 0f the industry and bring more of these new films to the Pakistani film screens. In the past, Lollywood has fiercely rejected any collaboration with foreign filmmakers. Although, there had been instances where Pakistani professionals had gone to work across the border – Zeba Bakhtiar, arguably Pakistan’s most beloved screen heroine, worked with Rishi Kapoor in the great Raj Kapoor’s last film Henna; and Sargam, one of the most popular films Lollywood ever made, involved extensive post production in India. But few filmmakers from other shores, especially India, were welcome or had any real incentive to work in films in Pakistan. Until now that is. International Collaborations with other Asian and European filmmakers is at the center of this new dawn of Pakistani Cinema. A host of these new age Pakistani films are produced in collaboration with actors and technicians from foreign shores. Take for example, Seedlings/Lamha, a story about a couple’s struggle after the loss of their child. The film, which has gone on to win a host of international awards, is co-produced by Meher Jaffri, a Pakistan based film maker and Summer Nicks, an Australian TV professional. Summer Nocks also wrote the screenplay of the film. Similarly, Saving Face was co-directed by American filmmaker, Daniel Junge who had first initiated the idea of making a film about acid attacks to Chinoy, who agreed to make the film with him. Zinda Bhaag’s makers share these views with a number of other filmmakers gearing up to make films with the stories they want to tell. Despite a trip cut short in February, one of India’s most revered poets, Gulzar is penning verses towards a song for a Pakistani movie. Another movie, Waking Dead due to be released in theaters soon has been shot in the UAE with a majority Indian cast. As cinema in Pakistan moves to create an identity for itself after a much-awaited rebirth, one thing continues to be certain – Pakistan’s new filmmakers have come a long way from the past!